HTC U12+ Announced With Pressure Sensitive Buttons, Edge Sense 2.0 & Quad Cameras - AndroGuider | One Stop For The Techy You! 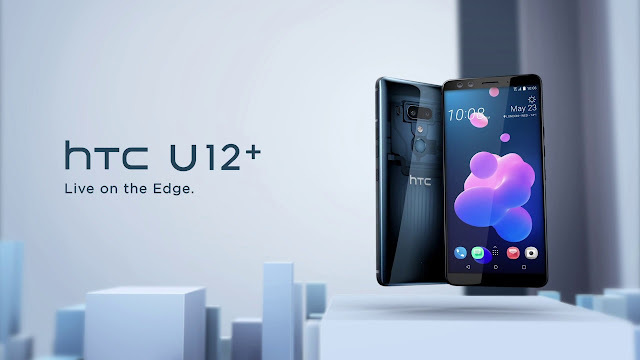 HTC has released its first flagship smartphone for the year: the U12+. The smartphone is the successor of last year's U11+ and features powerful internals like any other 2018 flagship. The U12+ boasts of Snapdragon 845 with 6GB RAM and a 3500mAh battery. The display is a 6" Quad HD+ Super LCD6 screen with Corning Gorilla Glass 5 protection and support for sRGB and DCI-P3 color gamuts along with HDR10 content. One of the main highlights of the U12+ is its dual camera setups at the front and the back. The dual cameras at the back have configurations of 12MP (primary, 1.4μm, f/1.75) and 16MP (telephoto, 1.0μm, f/2.6). There is support for recording 4K videos at 60fps, and 1080p slow-motion videos at 240fps. HTC's Sonic Zoom technology makes use of the U12+'s four microphones to focus on the audio source whilst capturing video. HTC claims that its Sonic Zoom technology allows for 60% louder audio capture. The front-facing dual cameras are both 8MP sensors with a pixel size of 1.12μm and an aperture of f/2.0. HTC says that the dual camera setup helps in providing a "real-time" bokeh effect and it also allows the camera to capture an 84-degree wide angle selfie. The selfie camera can shoot 1080p videos at 30fps. Apart from the cameras, the other highlights of the U12+ are Edge Sense 2.0 and its pressure sensitive buttons. 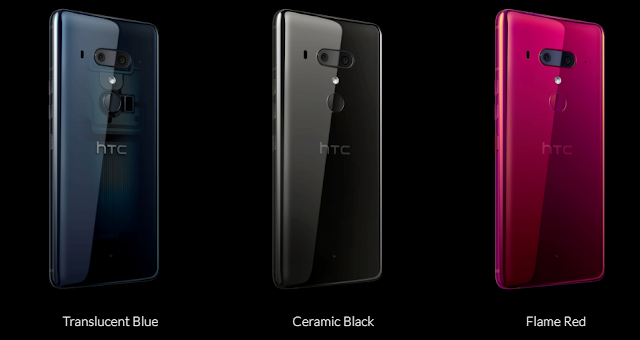 HTC introduced Edge Sense with last year's 'squeezable' U11 and the technology has since been included in every subsequent flagship of the company. We also saw Google include a squeezable frame in the Pixel 2 which was used to trigger Assistant by squeezing the sides of the phone. In Edge Sense 2.0, HTC has added a new feature: double tap. The U12+ will be able to detect which hand the user is using for holding the phone. By default, the double tapping feature is set to trigger the one-handed mode. If the user is holding the phone in the right hand, the screen would be shrunk to the right side of the phone, and the vice-versa is true. HTC has also utilized the U12+'s hand detection to avoid unwanted rotation. HTC calls this as Smart Rotate. This feature will rotate the screen contents only when the grip of the hand is changed. This will be particularly useful when lying in bed and viewing the phone. When I lye down, my Redmi Note 3 often changes the screen orientation from portrait to landscape and this gets annoying at times. HTC's Smart Rotation will fix this minor annoyance. There are no physical buttons on the U12+. Instead, HTC uses pressure sensitive volume and power buttons. The buttons cannot be pressed and provide haptic feedback when they are touched. In the audio department, the U12+ comes with a single bottom firing speaker. The speaker works with the earpiece to provide stereo sound. HTC claims that the earpiece and speaker act as a woofer and tweeter respectively to provide 50% louder audio than the U11+. The U12+ doesn't have a headphone jack but HTC includes a pair of USonic Earphones in the box. The U12+ will be available starting June in three color variants - Ceramic Black, Flame Red and Translucent Blue. The blue variant has a translucent back and it will give the user a peek at the internal components of the phone. The 6/64GB variant will cost €799 in Europe, £699 in the UK, and $799 in the US. The 128GB storage model will cost fifty bucks more and will be priced at $849.